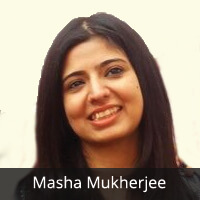 An astute and experienced professional with more than 12 years of domain experience, Ms. Mukherjee is one amongst a handful of Corporate Affairs and Government Relations Specialists in India. Prior to starting H2 Life Foundation, she played a vital role in setting up the Governance and Public Policy Initiative (GPPI) under the aegis of the Centre for Policy Research (CPR). The GPPI seeks to foster a strategic community that brings together Indian law makers – from the grassroots level up to the central government, scholars, bureaucrats, and civil society leaders to discuss pressing issues of public policy. Preceding GPPI, she worked with Nokia India Pvt. Ltd. as Senior Consultant, Government Relations and Corporate Affairs and was Nokia’s single point of contact for associations like ICA, CII, PHDCCI, FICCI, IAMAI and NASSCOM. She also worked closely with the Ministries of IT and Telecom, Finance, Commerce, and Environment as well as top security agencies of the Government of India. Prior to her Nokia assignment, she worked as Joint Secretary, Northern Regional Development Council (NRDC) & State Committees at the PHD Chamber of Commerce and Industry (PHDCCI). Previously, she served as Senior Assistant Director at the Federation of Indian Chambers of Commerce & Industry (FICCI). At FICCI’s Forums of Parliamentarians division, she worked towards promoting bilateral ties with the US, the European Union, UK, Germany, Japan, Singapore, Pakistan, Central Asia, Italy, China, Israel and Russia. These forums have played a significant role in promoting inter-parliamentary exchange and dialogue between Indian legislators and their counterparts in these countries. These forums included Members of the Parliament of India from both Houses—the Lok Sabha and the Rajya Sabha. She began her career as a Journalist with the Times of India and is now on the board of directors of several companies.